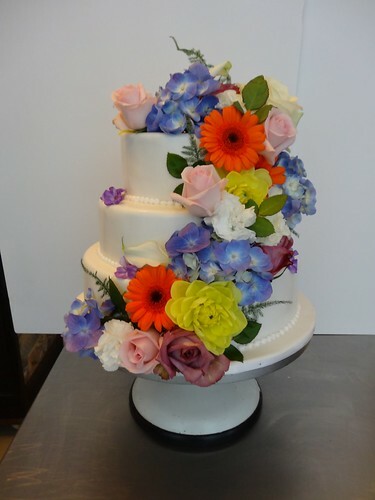 Flowery Wedding Cake, a photo by CAKE Amsterdam - Cakes by ZOBOT on Flickr. I have to admit I find these wedding cakes just so stunning with gorgeous seasonal fresh flowers winding down the cake! Congrats to Marion & Herman who tied the knot at amazing wedding location of Het Rijk van de Keizer this weekend!